Today, Dr. Peters spoke from his expertise as a clinical pediatric urologist. He provided information about the current treatment protocol and research findings for treament of urinary tract infections and vesicoureteral reflux. He emphasized that he looks not only at the immediate clinical symptoms, but also at the long term behavior patterns of a child with a urinary tract infection. While medical treatment tackles immediate uncomfortable symptoms, many young children need to be assessed for behavior issues as well (such as "holding it too long") during the clinical visit to prevent recurrences, which can lead to serious long term damage and other complications including renal scarring. Urinary tract infections are ubiquitous, affecting 8% of all girls and 2% of boys worldwide, and it was clear from the dialogue that most of the medical staff in the room had experience handling the disorder at some point during their medical careers. Additionally, Dr. Hoffman presented data on his groundbreaking research into steroid use for conditions like muscular dystrophy and asthma. His team is working on the development of a glucocorticoid that accomplishes many of the same treatment effects as steroids like prednizone, with fewer side effects. The SKMC doctors were extremely interested in digging deeply into this area and had many technical questions throughout the presentation. This is in part because there is a large population of people with asthma in Abu Dhabi, and the medical community and the Health Authority of Abu Dhabi are developing public health initiatives to address asthma, and to understand and develop better treatments for people who suffer from it. 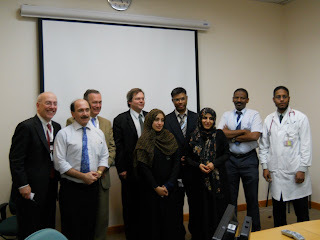 At the same time we were at SKMC, Dr. Sze and several other team members travele d to Mafraq hospital, where Dr. Sze discussed the applications of medical imaging to identify indicators of long term issues like child abuse in the United States. 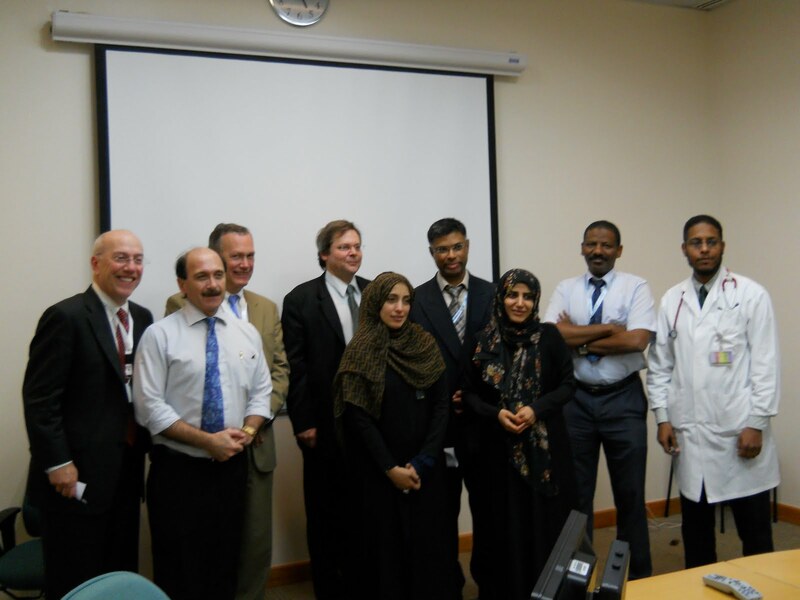 The team reported that Dr. Sze also had an engaging discussion at Mafraq, and learned much from his hosts. 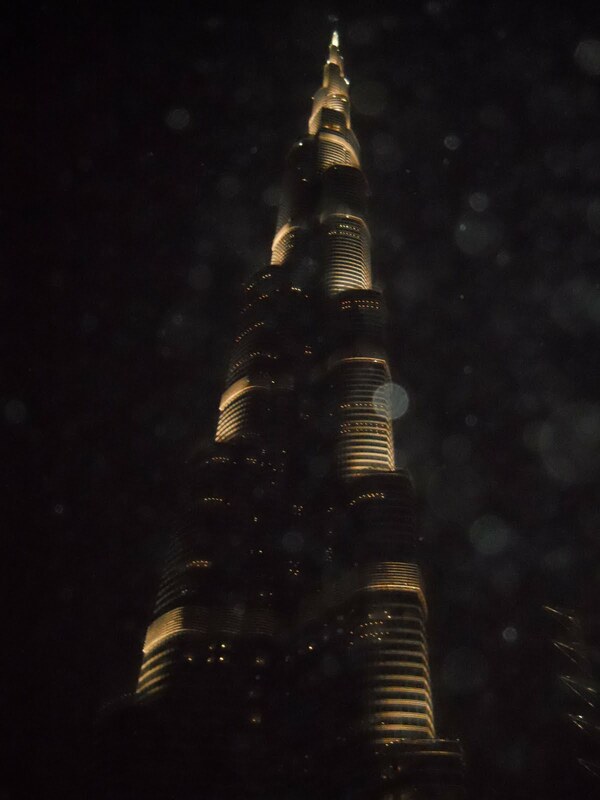 Since innovation is a key theme of this trip, as an interesting sidenote some of the team briefly stopped in Dubai to visit the Burj Khalifa--the tallest building in the world. 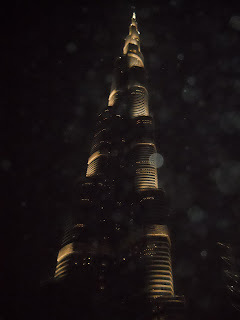 Not only is the architecture amazing, but the fact that the entire project was done in just about 5 years, completed in early 2010, is unbelievable.